Offers a full line of integrated boiler controls, communication systems, packaged water controls, water level controls and stand-alone controls for new or retrofit applications. Increase efficiency, reduce fuel costs and decrease emissions with control systems designed to get the most out of your boiler room. Integrated boiler controls– PLC-based from a Hydronic System Control for condensing, non-condensing and hybrid boiler applications to Advanced boiler room controls that will aid in maximizing efficiency and save fuel. Communication Systems– Transfer data from boiler controls to external building automation, SCADA or remote monitoring systems. 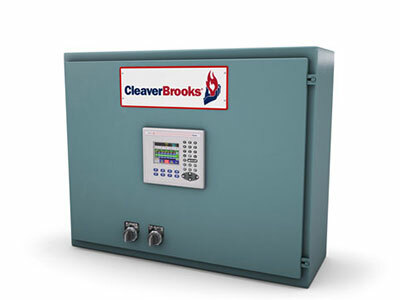 Customized Industrial Controls – Custom-designed control units to meet the needs of your specific boiler room. Packaged Water Controls– monitor and manage all water-related touch points including pumps and level controls.